Wrapping up our look back at Disco's biggest year, this mix focuses less on 1977's hits (though there's still some huge ones here) and more on the genre's extended-dance-track club aesthetic that always lay at the its core and is probably its most enduring legacy today. In fact, for me, it's almost shocking how much more directly linked to today's EDM and alt R&B scenes these tracks sound versus their more popular counterparts we just listened to on Vol 8 - The Ballad Of Tony Manero. But however you like your disco, influential or purely endearing, I think most of you will find this mix to be an addictively propulsive ride with a killer three-song close out. 1. & 2. 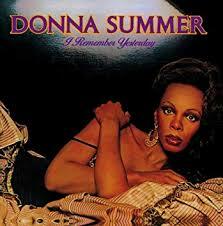 Once Upon A Time / Faster And Faster To Nowhere - Donna Summer: Donna Summer released two albums in 1977. We'll get to the bigger one later in this mix, but for now we start with a pair of tracks from her second '77 release - and the first double album of her career - Once Upon A Time. 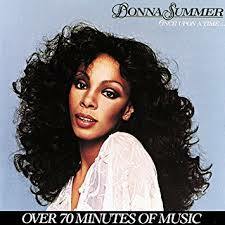 A concept album cowritten with (as was much of her material of the era) producers Giorgio Moroder and Peter Bellotte, Once Upon A Time cast Summer in a Cinderella-like narrative and was designed to be played in long extended passages with no perceivable breaks between many of its songs, a design so well achieved the album in full landed as the #1 single on the US Hot Disco/Dance chart. A few of the album's songs, especially I Love You and Rumour Has It, charted in Europe, but I felt its opening two tracks presented successively gave the best sense of the album's unrelenting dance floor flow. 3. Fire Island - Village People: My favorite cut from the Village People's self-titled debut, Fire Island only features one member of the band's signature lineup, lead vocalist Victor Willis. The act was actually the brainchild of French producer Jacques Morali, who had already experienced a degree of success in Europe but wanted to make a name for himself in the states. Armed with a batch of new songs, he relocated to New York, discovered Willis on a demo tape, and the two quickly got to work, recording the debut and assembling a supporting troop of backup dancers. 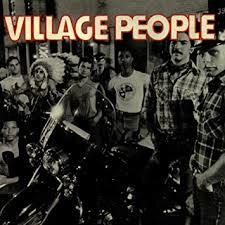 But when the album took off, they soon realized they hadn't assembled the a strong enough backup crew built for the long haul, so all the original Village People other than Willis were let go, and a new/more talented cast of supporting "People," were chosen, giving us the band's definitive late 70s lineup. 4. Give Me Love - Cerrone: One of Europe's most important and coolest disco producer's of the 70's and 80's, Frenchman Marc Cerrone sounds as dialed in as any artist of the era to the future of electronic music, and no more so than on his '77 magnum opus Supernature. This shortened radio edit of Give Me Love is one of two tracks from the album we'll be profiling on this mix. 5. 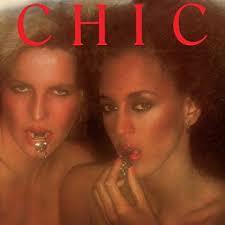 Dance, Dance, Dance (Yowsah, Yowsah, Yowsah) - Chic: Hoping to project themselves as the "rock band of the Disco genre," Chic was founded in 1976 by a duo of phenomenal session musicians, bassist Bernard Edwards and rhythm guitarist extraordinaire Niles Rodgers. They wanted to create a fully immersive live experience along the lines of what Roxy Music and Kiss were doing in rock, and like the Village People, began work on their eponymous 1977 debut album before they had even solidified their original lineup. 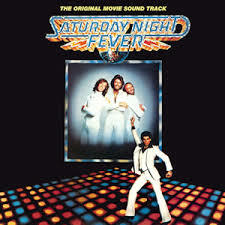 Dance, Dance, Dance, the record's biggest hit, is the first track they ever recorded. 6. 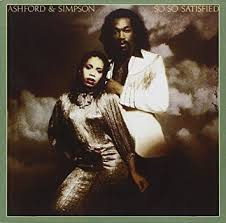 Tried, Tested, And Found True - Ashford & Simpson: Here's another aces Ashford & Simpson song, this one from their first full-length release of that year, So So Satisfied. 7. 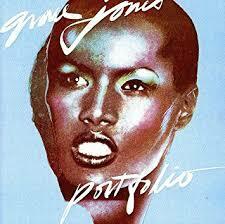 La vie en rose - Grace Jones: Primarily the brainchild of prominent disco producer Tom Moulton, there's very little in Grace Jone's fairly generic (and if we're being honest, not very good) disco debut Portfolio that bears much resemblance to the daring, genre-mashing work that would define the bulk of her career. But in a few moments on the album, glimmers of the unusual musical force Jones would become sneaks out, particularly in a splendid dance cover of Send In The Clowns that became a club favorite in the states, and her awesome, breezy but personal feeling rendition of La vie en rose included here. 8. 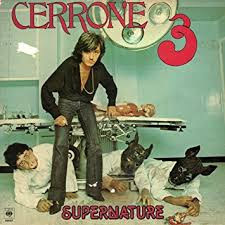 Supernature - Cerrone: Another shortened radio edit from Cerrone's 1977 album Supernature, this time it's the knock-out title track here to wow us. Cool contemporary acts like Jungle seem almost unimaginable without this song having come before. 9. 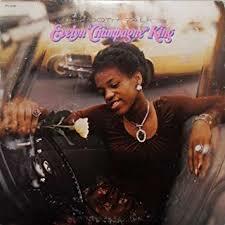 Shame - Evelyn "Champagne" King: The biggest hit of Philly-based singer/songwriter/producer Evelyn King's career, from her '77 full-length debut Smooth Talk, remains a dance floor scorcher to this day. 10. 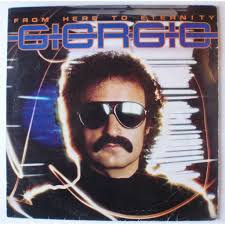 From Here To Eternity - Giorgio Moroder: Much like the long extended-suite sections of Donna Summer's Once Upon A Time, the first five songs on Giorgio Moroder's '77 solo debut From Here To Eternity, kicked off by the album's title track included here, were intended to be taken in in one uninterrupted listen. 11. Disco Inferno - The Trammps: Considered by many the greatest Disco track of all-time (and if it's not, the song that immediately follows on this mix might be), Disco Inferno is another late 1976 single that didn't really explode on the charts until after its inclusion on the Saturday Night Fever Soundtrack. We're going all in with the long version of the Philly soul act's jokey reinterpretation of scene's from The Towering Inferno here. 12. I Feel Love - Donna Summer: The lead track from Summer's first '77 album I Remember Yesterday, again, a Summer, Moroder, and Belotte collaboration, was, aside from Summer's vocal, performed entirely on synthesizers, and is now considered one of the most influential recordings of all time, and the first bona-fide EDM recording. 13. 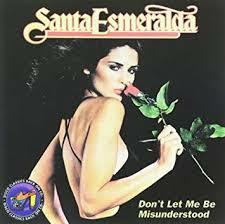 Don't Let Me Be Misunderstood (12" Club Remix) - Santa Esmeralda: Though originally released as the 16-minute, side-long title track to Santa Esmeralda's 1977 debut, it was a 12" club remix pressed shortly after that became the most popular version of this French Disco act's infamous Nina Simone/Animals cover. So we're going with the club remix here to close things out, just as did Quentin Tarantino, who used that version with its signature opening handclaps to score the Uma Thurman / Lucy Lui winter-garden face-off at the end of Kill Bill Vol. 1.